We are back on US soil eager to share our Thanksgiving story with y’all. I’ve chosen some pictures (imagine!) and will put together a post while visiting with the Andersons here in Queen Creek, Arizona. At least that’s my goal! Meanwhile, here’s a little match-up I found while looking through Dusty’s pictures of our house build. 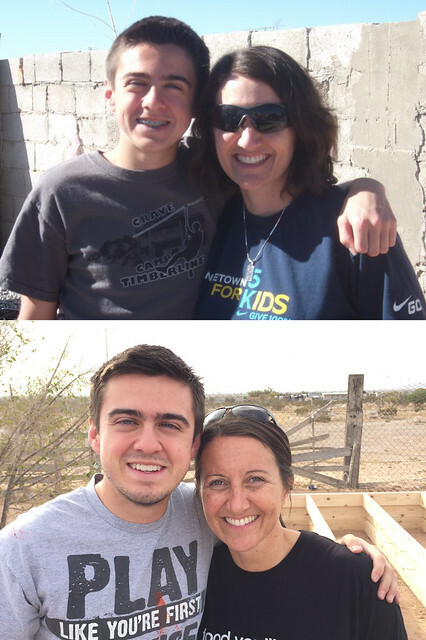 The top one was taken on a 2011 build, when Bailey had just surpassed his mom in height. Now he’s a college sophomore and no longer a teenager.